Michelle Bachelet, the UN High Commissioner for Human Rights, who also delivered opening remarks cited recent human rights advancements across the world including in India, the Horn of Africa, South Africa, Georgia, Liberia, Tunisia and Chile. “In many countries, things are moving in the right direction, sometimes not quickly enough, sometimes it’s not perfect, but nevertheless, they are moving and the broader impact is clear,” she said. 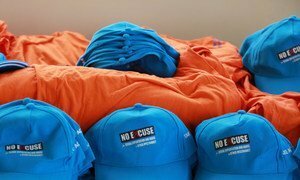 The event went on to showcase several initiatives and progress made to strengthen human rights in various countries, including the promotion of diversity in Indonesia, the role played by civil society in Korea, new legislation for gender equality in Tunisia, and prison reform in Georgia, to name a few. 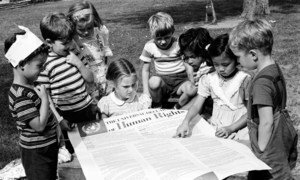 On Wednesday, the UN held another high-level event marking the 70th anniversary of the UDHR, to highlight how making the text a reality, can be a powerful tool for nations across the world to prevent conflict and poverty.